Since 1986 Techlight has been bringing you the best in landscape lighting products. Over the past 19 years we have steadily grown and expanded our product line. Today we manufacture a wide assortment of luminaires to accommodate your lighting requirements. Combine this with our ability to custom design and build any fixture to your specifications and you just can't find a better source for your outdoor lighting needs. Quantity and quality can go hand in hand. We're proof here at Techlight. 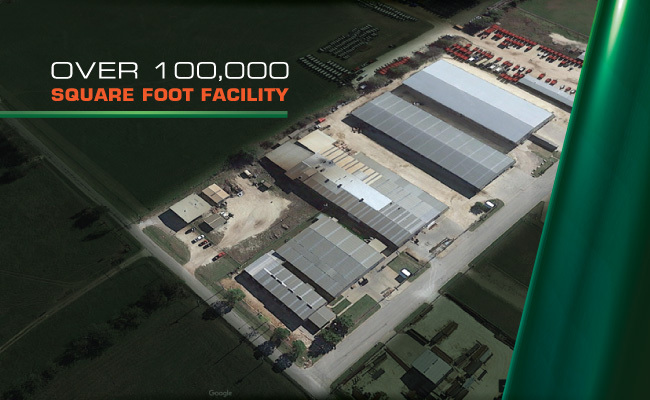 We've expanded our facility to an estimated 100,000 square feet, yet we still custom build all of our products to fit your specifications. All Techlight products are built with high quality, name brand components to maintain our high standard of reliability. We're with you every step of the way, with experts that will lay out a photometric and luminaire placement design for you, and help you decide the best products for your needs. We have a wide assortment of luminares that is sure to not only meet your requirements, but exceed your expectations. Techlight has the best lead times in the industry, so you can expect your shipment in days and weeks, instead of months. And, every luminaire is pretested and inspected by a quality-control supervisor before its final packaging. At Techlight, we may be getting bigger, but we're still committed to offering personal, friendly service and quality products at an economical price. That's our promise to you. Always.